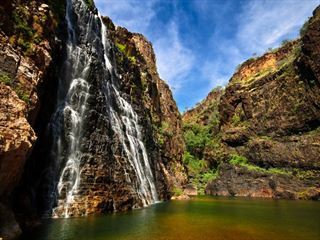 Take one of Australia’s most iconic rail journeys as you travel from Darwin to Adelaide on this 8 day tour. 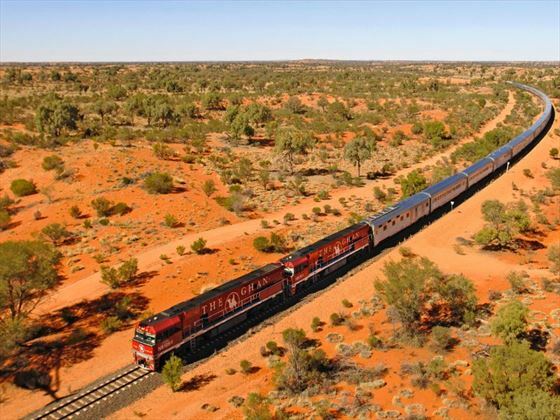 Riding the Ghan is one of Australia’s most incredible experiences – taking in the breathtaking scenery from the comfort o your own private cabin you’ll enjoy gourmet food, high quality service and some of the most remarkable views in the world. Find the perfect mixture of luxury and adventure as you travel between two of Australia’s favourite cities. Flying in to Darwin, you’ll spend two nights getting to know this vibrant city before you board The Ghan train and begin an unforgettable journey. 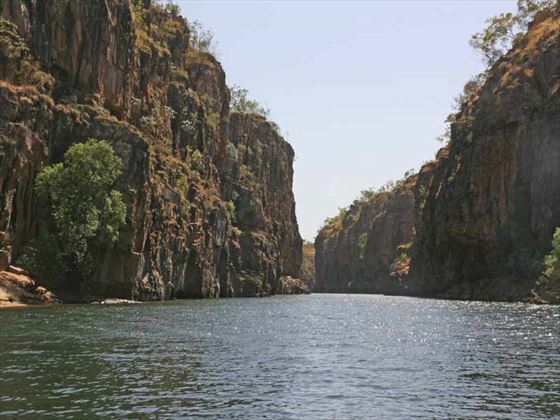 This all-inclusive train stops off at Katherine where you’ll stop off to see the stunning Katherine Gorge. 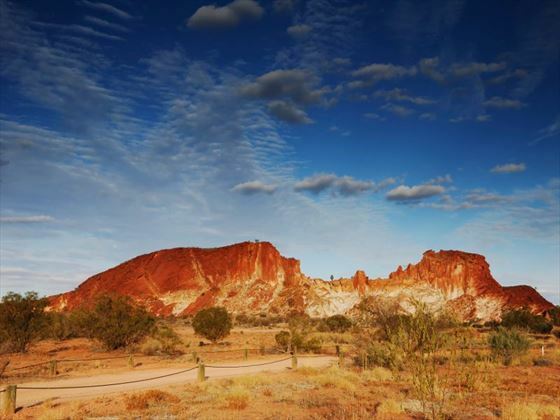 You’ll then travel onwards through the Outback to Alice Springs and Coober Pedy where you’ll get to enjoy trips throughout these unique towns and learn about their history. 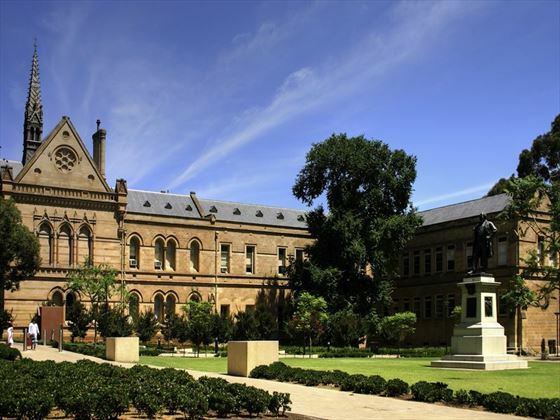 You’ll then arrive in Adelaide for a two night stay – sample fine restaurants and visit the famous galleries and museums. 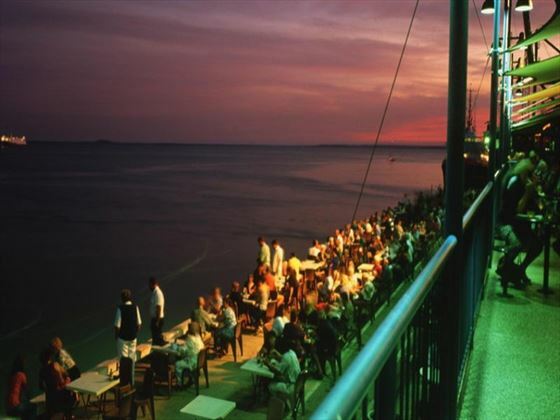 You’ll arrive in Darwin where you’ll be staying for two nights. Relax for the rest of the day or spend some time getting to know this vibrant city at the north of Australia. 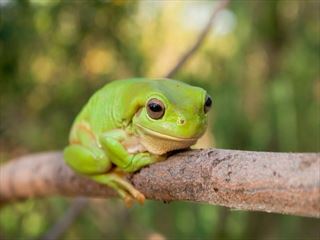 Today is a full free day to explore Darwin where you can take it sights including the George Brown Darwin Botanic Garden, the Fannie Bay Gaol and the Museum and Art Gallery of the North Territory as well as many others. Today you’ll board The Ghan train at Darwin and you’ll travel to Katherine. On the day you’ll dine on board in the Queen Adelaide Restaurant –all food is included in the price. 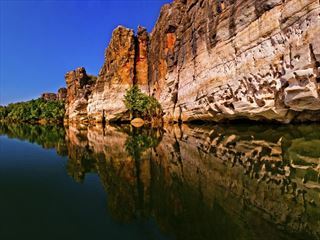 Soon you’ll arrive in Katherine where you’ll take your first included off-train activity as you visit the dramatic Nitmiluk Gorge. When you return to the train you’ll enjoy dinner in the restaurant before heading back to your private room, where you’ll find your bed already set up for you. Today you’ll wake up for a beautiful outback sunrise followed by a delicious breakfast. 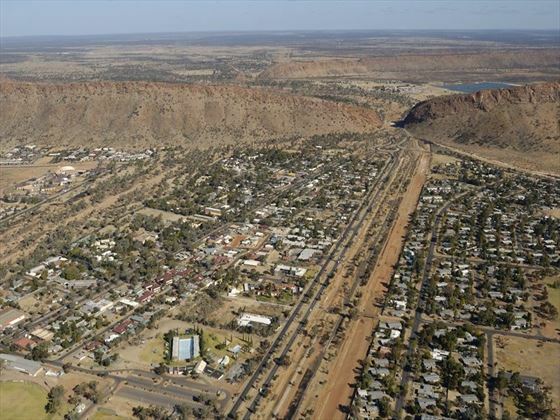 The train will then arrive at Alice Springs where you can enjoy a full day to visit the different landmarks of the town and get to know more about this outback oasis. In the evening you’ll eat from an authentic outback barbeque in a quarry. Return to the train to continue your journey. Today you’ll have breakfast before arriving in Manguri. 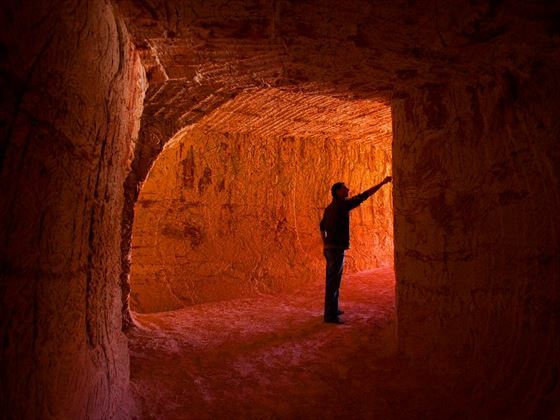 This stop in the middle of the outback is your gateway to the unique town of Coober Pedy, the opal-mining capital of the world where the majority of the residents live underground. You’ll visit the unusual Serbian Orthodox Church and catch sight of the famous Coober Pedy Golf Course. Have lunch underground before heading back to Manguri to re-board the train. With another delicious dinner waiting for you in the Queen Adelaide Restaurant, you’ll later return to the privacy of your cabin. As you wake up today your views will have changed from the dramatic beauty of the outback to the luscious fields of South Australia. 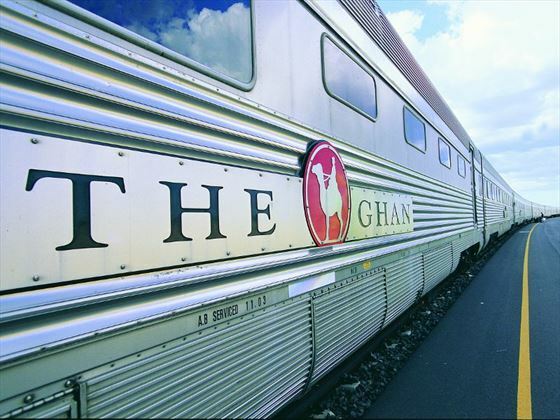 After your last breakfast on The Ghan, the train will pull up until Adelaide, where you’ll spend the next two nights. Today is a full free day in Adelaide to explore the city and get to know the place. Try one of the city’s delicious restaurants and take in the different attractions including the huge range of art galleries and museums. Today you’ll check out from your hotel and transfer to Adelaide’s airport for the flight home.